Hi! I’m Yoshi, director of Always Reading Caravan (ARC). In Thai, our project is called Caravan Norn-Nangseuu (Bookworm Caravan). We are a non-governmental, not-for-profit organization. 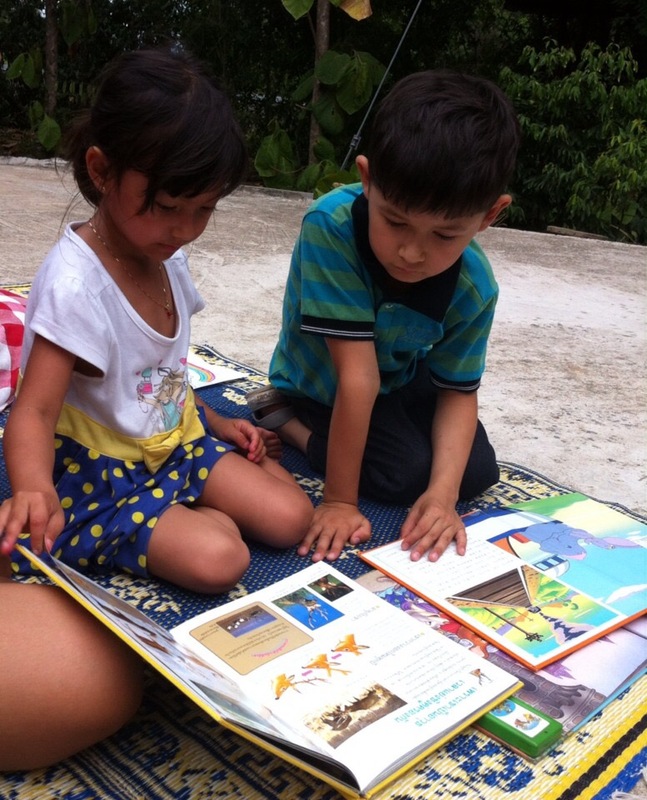 Our goal is to promote joy of reading and learning to Thai people in rural areas. We especially aim at children and adults who have difficulties in reaching books, such as people from lower-income group, people with disabilities, etc. -Go with us to villages to conduct story-telling activities. -Work on our website and blogs. -Conduct fun activities for children to show them how fun reading/learning is! -Make tactile picture books and toys with us. Of course, if you can think of anything that you can bring to ARC, we are more than happy to discuss with you and work together with you.